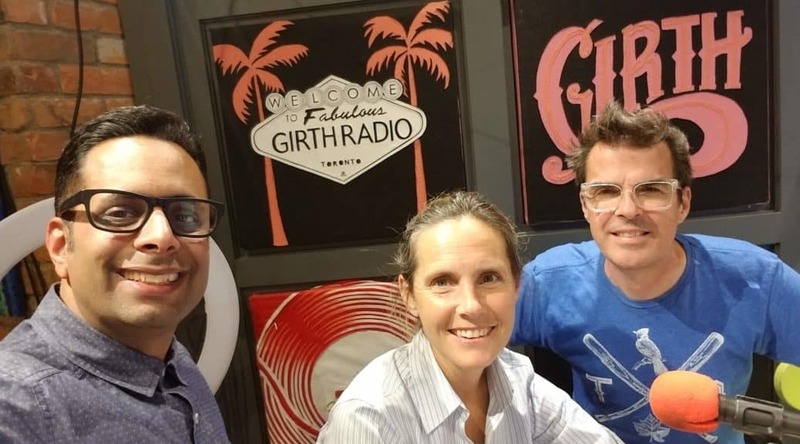 Dan Speerin and Vince Kesavamoorthy joined Karim Kanji and Gregg Tilston in Girth Radio studios on October 23, 2018. 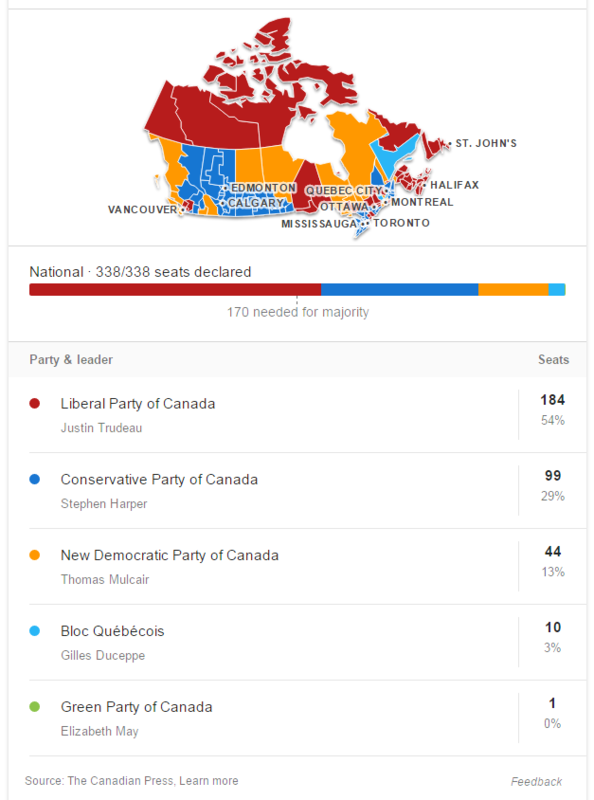 The day after Toronto’s election that saw the voters return John Tory as the mayor of the largest city in Canada. This is Episode #146 of the Welcome! podcast. Special thanks to my co-host Gregg Tilston and to our Post Toronto Election Coverage in-studio guests Dan Speerin and Vince Kasavamoorthy. 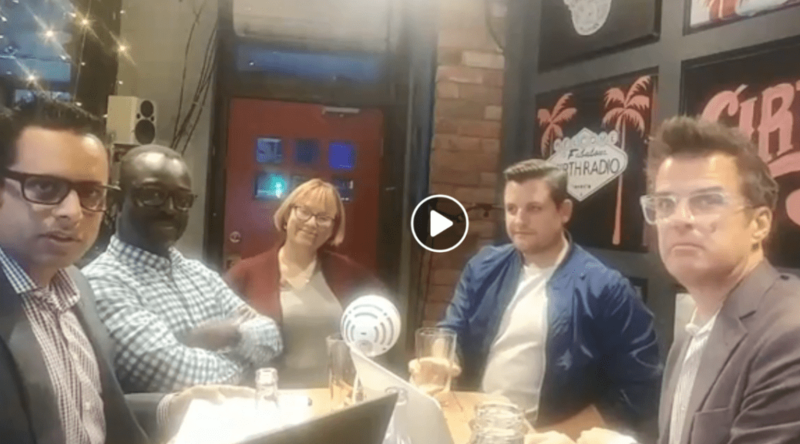 Now that we finally have the audio versions of last week’s Toronto Election Facebook Livestream we thought we’d create a page that includes the videos and audio in one place. This is Episode #145 of the Welcome! podcast. 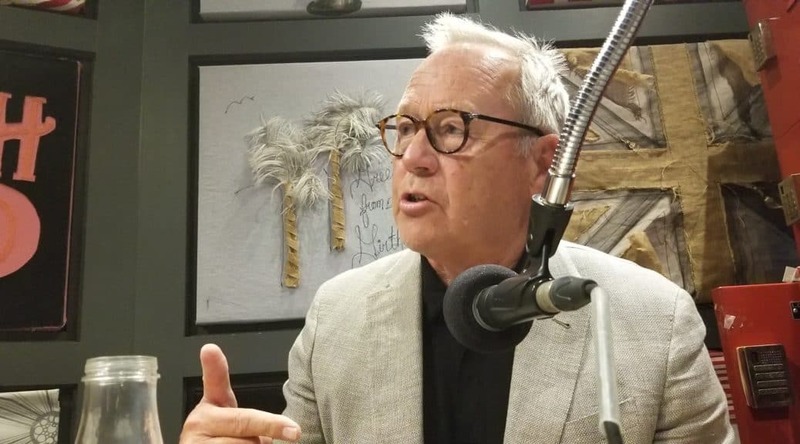 Special thanks to my co-host Gregg Tilston and to our Toronto Election in-studio guests Kelly Dyment, Bryn Feldmann, Paul Crowe, Casey Palmer and Connie Crosby. This special episode was taped at Girth Radio studios inside the Pacific Junction Hotel bar in Toronto. This is episode #142 of the Welcome! podcast. Closing music by Afraaz Mulji. Richard Peddie is best known as the former President and CEO of Maple Leafs Sports and Entertainment. These days, Peddie can be found learning and talking across the globe as a passionate city builder. 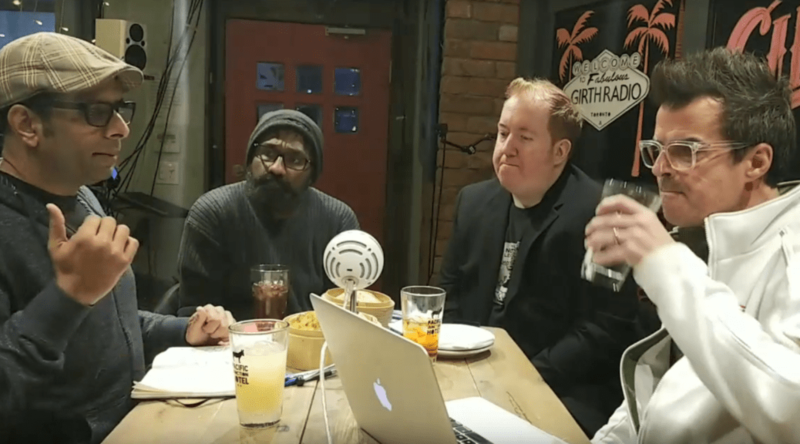 Richard Peddie joined Karim Kanji and co-host Gregg Tilston inside Toronto’s Girth Radio studios for an unprecedented fourth visit. In this episode we discuss the upcoming Toronto election and the impact Doug Ford continues to have on the city of Toronto. This is episode #139 of the Welcome! podcast. Can powerful neighborhood councils be more effective in places like North York, Scarborough and Etobicoke than a seemingly distant Toronto city hall? If you liked this episode you will also like all our previous conversations with Richard Peddie. 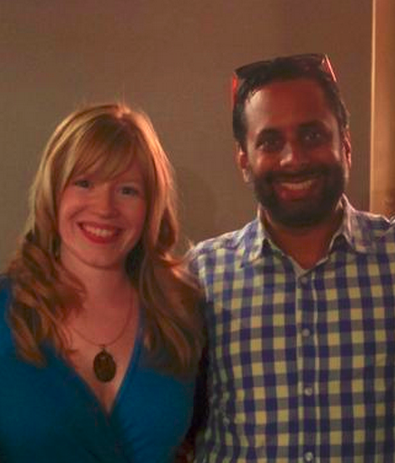 Episode #12 features my friend, Laura Casselman. She’s running as the NDP candidate in Scarborough Guildwood. Listen to how she got her start in local politics and her reason for running in this month’s election. 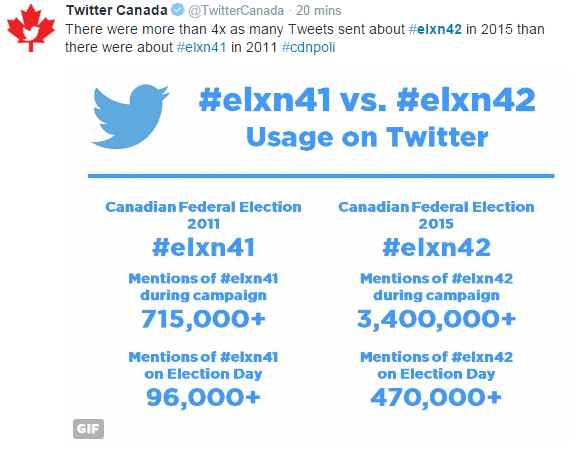 It’s kinda funny that they are on Tory’s page. Not that we don’t like him. He’s probably the most likeable guy running to be our mayor this October. He’s also smart, a dedicated public servant, and been successful in almost everything he has done in business. Why is it funny? 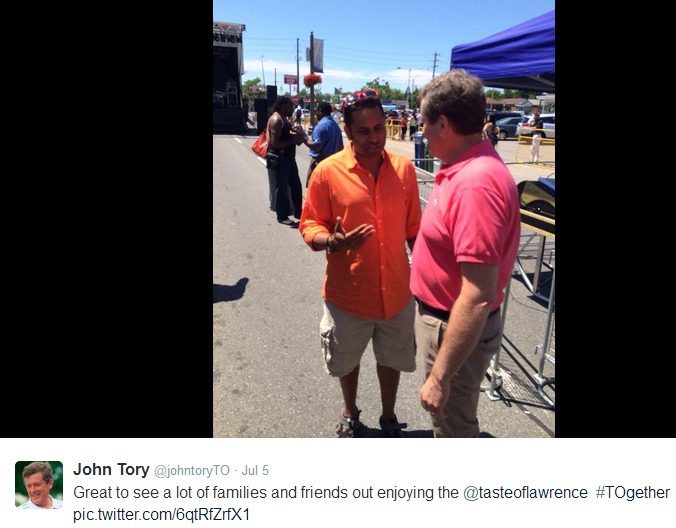 We probably would not have even thought of voting for Tory if he was running for the PC Party of Ontario. 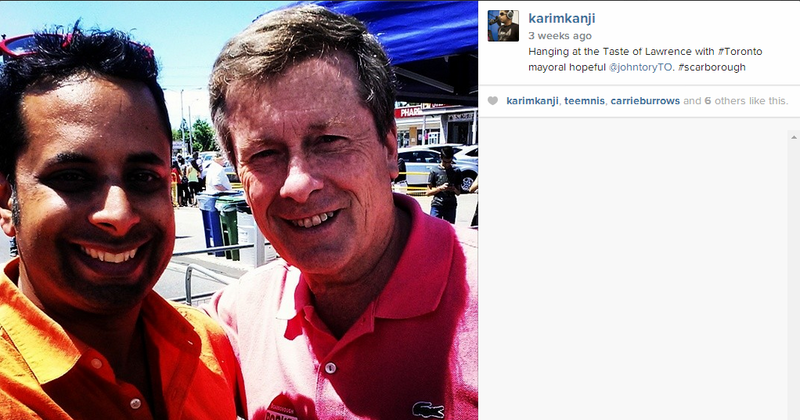 But as a mayoral candidate for the city of Toronto? Sure, why not? The photo above and the one’s below were taken at the Taste of Lawrence Festival a few weeks ago in Scarborough. And here’s the obligatory selfie…. On Sunday I spent the afternoon like many Torontonians did: at a barbeque. However, this particular barbeque was interesting. Toronto Mayoral candidate Olivia Chow was the guest of honour. My friend (who also happens to be the dad of two of my other friends – META!) 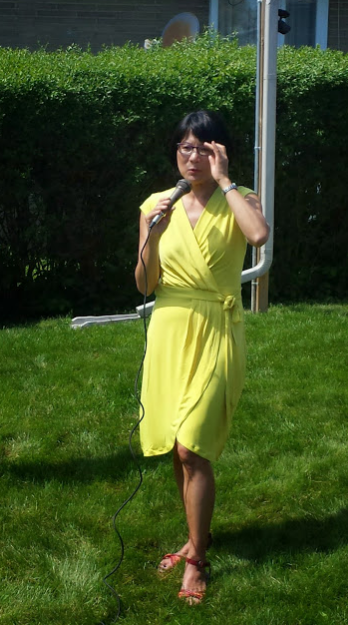 was hosting an afternoon barbeque in support of Madam Chow. She was dressed in a simple, yet elegant, yellow summer dress. She didn’t talk too long but did promise to bring respect and vision to City Hall. What struck me most was that Madam Chow didn’t speak like a populist. She didn’t promise to spend money nor stop spending money. She actually talked about building a city where people could get to work on time; a city that was clean and where the air was breathable; a city that cared for it’s young and elderly; a city that we could be proud to call home no matter if we lived in north Etobicoke or near the bluffs in Scarborough. 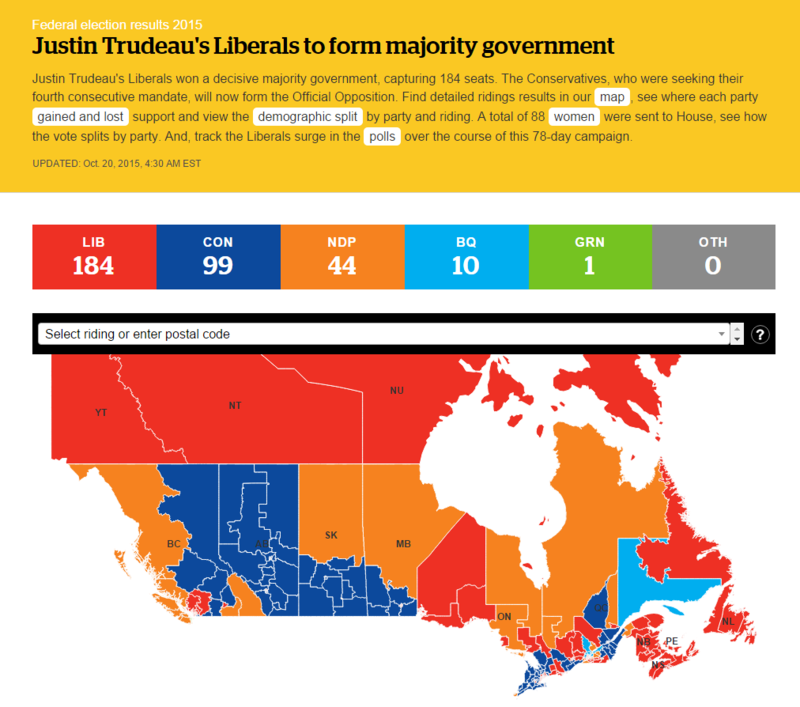 And, I think, that’s the type of city and leader Torontonians want: a city builder. I don’t want someone to cut services. I don’t want a Mayor who feels they need to fight to get things done. I want a Mayor who wants to build a city: a place where we can be safe to live, work and play. 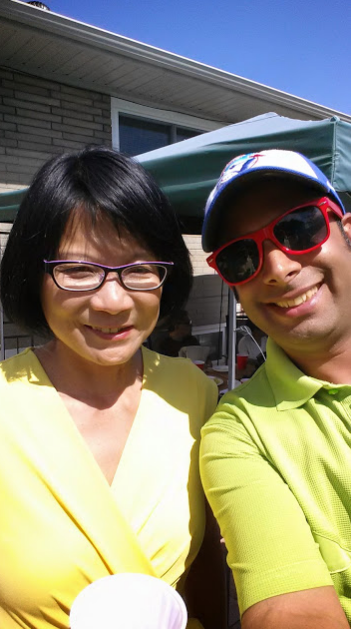 Olivia Chow takes a selfie!